Once a month this summer (and hopefully beyond), this blog will host a series: Our Life on Wheels. Fulltime travelers will be joining together to share on a variety of topics. We start June out with - "A Day in the Life Of". If you are interested in participating please see below. And I hope you are interested in reading and seeing what a typical fulltime travelers daily life looks like, please check back here on Monday, June, 4 --- I will have my post live by then and others will be linking up. 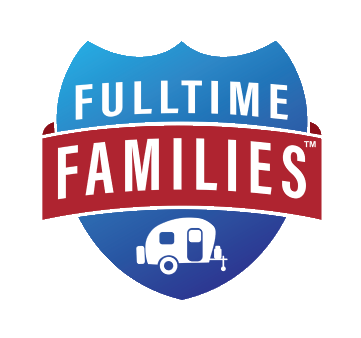 Other topics to be covered are: How We School on the Road, Meals on the Road, How We Fit It All (Organization), Favorite RV Things, Our Favorite Place. I am welcoming other topic ideas (whether you travel fulltime or not), so please comment or email me. My goal is to run a series of blog posts that connect all of us and our various ways of doing things, as well as giving fellow travelers, dreamers, family and friends answers to their most common questions. The series is going to start with "A Day in the Life Of..." The post can cover your family doing ordinary and/or extraordinary things over an 8-48 hour time frame. The format is totally open, meaning you can use pictures, words, and/or any other variety of media to offer your readers a small window into your daily life. The blog posts will be connected via We Choose This Life and your posts will link up at the bottom, I will also ask that you link back to the series (for now grab button below). My post will be live on Monday, June 4, so please have yours ready to be linked by this date. This blog series is going to be joined with the Group Writing Project on the Fulltime Families. Love this idea! And so good to see other traveling families and their blogs!